Camille Riner contributed a signed edition of her artist book Good People for our swap. 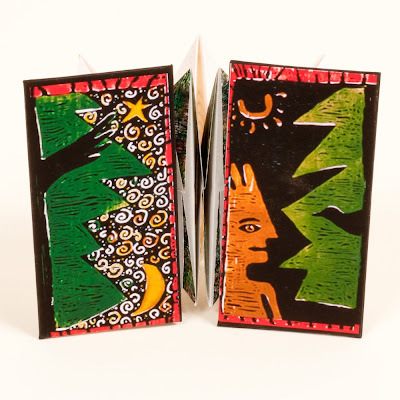 This back-to-back accordion book features her relief print "Conversation with the Birds" on the cover. Inside the book is a poem by Hildegard of Bingen, a 12th century German Abbess who was a gifted writer, naturalist, philosopher and scientist.Camille says, "Her poem is one of hope and speaks of the divine in us all." You can see this and Camille's other work in her shop: www.camilleriner.etsy.com. It looks great! Such vibrant colors, and an interesting structure! i love artist's books -- this looks very compelling... itching to read it through. Beautiful! 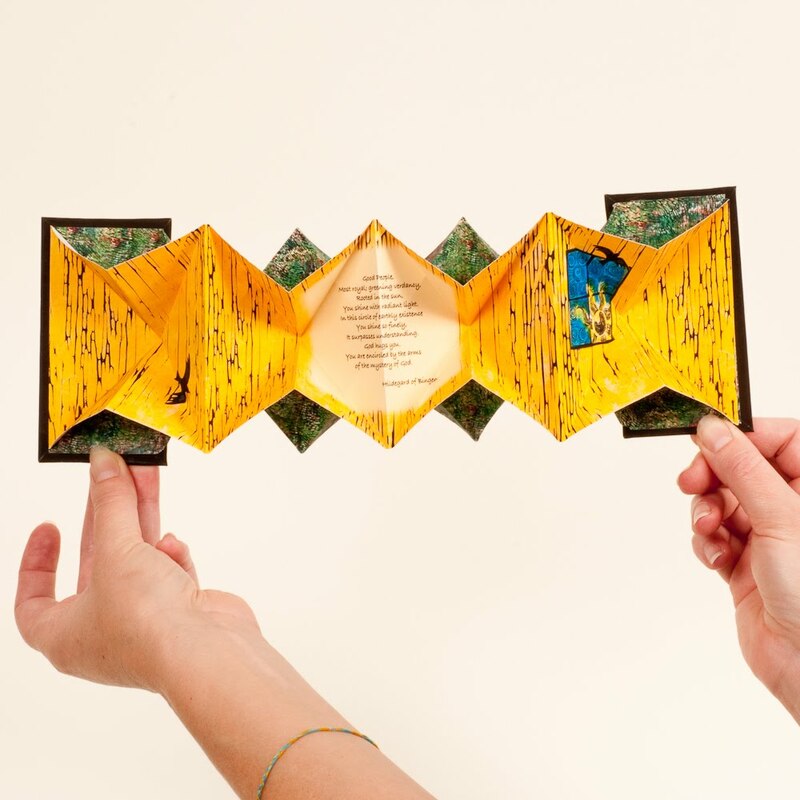 I'd love to see this one in person, as I'm fascinated by any kind of accordion fold books! So lovely. Is the artwork woodcut, linocut? I love the bright colours and the blocks of colour, along with those swirls.